Biodiversity conservation and poverty alleviation often walk hand-in-hand. At the global scale, most species and the majority of poor people are concentrated in a narrow band near the tropics. This is also true at smaller scales, where formal protected areas for conservation are regularly situated away from urban centres and, therefore, often coincide with poor communities deprived of basic infrastructure. As a consequence, any conservation strategy that hopes to be sustainable in the long-term should pay careful attention to local socio-economic conditions. Regular readers of this blog might know that I have a soft spot for Golden Gate Highlands National Park (GGHNP) in South Africa (e.g. the history of the park and the guide to the hiking trails). 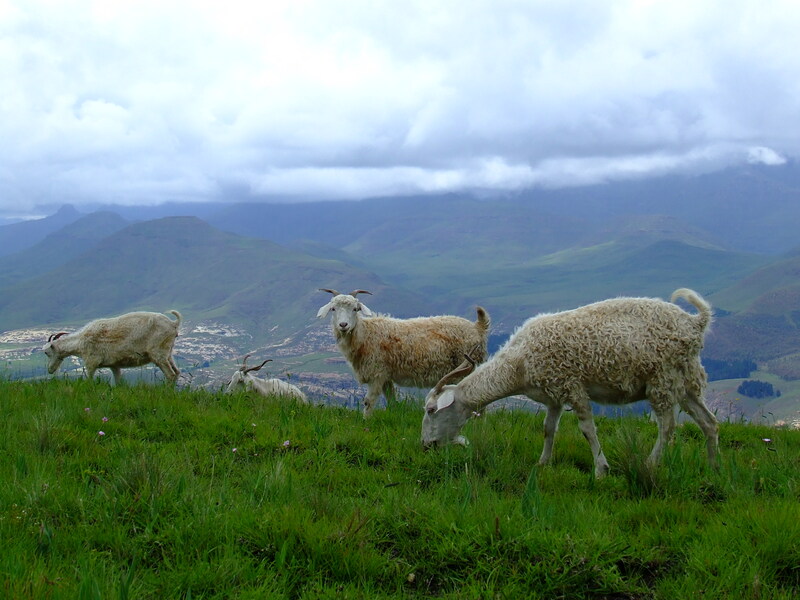 This national park happens to be in one of South Africa’s poorest regions: the Maluti a Phufong local municipality. Only 1 in every 4 people (26.8%) has successfully complete secondary school education. Approximately 75 % (155 429 out of 208 296) of people aged between 15 and 64 are unemployed. 80% of households earn less than ZAR 40 000 per annum (that’s roughly US$10 per day shared among 3.35 people per household). There is no doubt that the region surrounding GGHNP is in dire need of rejuvenation. I suppose it’s unsurprising then that the South African Journal of Science published a commentary in December last year criticising the recently approved 10 year management plan for GGHNP. In short, the authors argued that the management plan failed to highlight the need for conservation strategies that address the harsh socio-economic realities of the region and they suggested that tourism in the region be fast-tracked to generate revenue. At first inspection, this all sounds good. They use all the right buzzwords and seem to tick all the boxes. But I couldn’t help being annoyed when reading this commentary. Along with disagreeing with its general argument, I also had other misgivings, mostly due to the misrepresentation of the current situation at GGHNP. I pointed out these errors to the editor at South African Journal of Science and these views were published last week (open access). Briefly, my main qualm was with the idea that increased tourism and exploitation could alleviate poverty in a sustainable way. In reality, any revenue generated by these proposed solutions would; first, increase the degradation of the natural features in the park and, second, have no measurable affect on poverty alleviation. While GGHNP still has some big game species, many draw-card species were hunted out during the 19th century. Instead, it’s the beautiful sandstone cliffs, one-of-a-kind fossils and important rock art that draws cash from tourists. However, all these features degrade naturally and increased tourism will only accelerate this degradation. This degradation could perhaps be defensible if increased revenue gave local communities the financial boost they so desperately needed. Unfortunately, since these communities lack a well-structured local economy, they cannot reap the rewards of economic multiplier effects. Instead, more than 95% of the tourism-generated revenue in the region is spent elsewhere; in neighbouring municipalities or even in different provinces. As an alternative, I believe that the management of GGHNP should increase environmental education efforts if they hope to alleviate poverty in the region. In fact, they are already doing this. 1 – An intricate understanding of the specific local conditions. Natural resource use and benefit-sharing are known to work in principle, but not necessarily in all cases. As was the case for GGHNP, where tourism-generated revenue is spent elsewhere, sometimes the socio-economic circumstances just don’t allow a simple solution to poverty alleviation. 2 – Patience. Conservation and poverty alleviation are both attainable if we are willing to invest in long-term solutions. For instance, environmental education will only reap economic rewards after several generations. Such long-term solutions might not be the quick-fixes people want, but they will at least ensure that our grandchildren also get to marvel at the natural features of GGHNP. This entry was posted in Environmental politics, My Research, News, People and conservation, Protected Areas, Social sciences and tagged Biodiversity, Conservation, Environmental Education, golden gate highlands national park, Poverty, SANPArks, South Africa. Bookmark the permalink.